The internet is a crazy place. Over the summer I somehow stumbled upon Connecticut Food and Farm's podcast. I listened to a few of the podcast's and really enjoyed what they were doing on the podcasts, as well as on their blog. I reached out expressing interest in working with them as a photographer. Skip forward a few months and we were finally able to schedule something. Winter, who is a founding member of the Coventry Regional Farmer's Market (one of the biggest markets in the state of Connecticut), reached out and asked if I'd be interested in photographing local businesses that participate in the market to help document 'what happens before they go to market'. 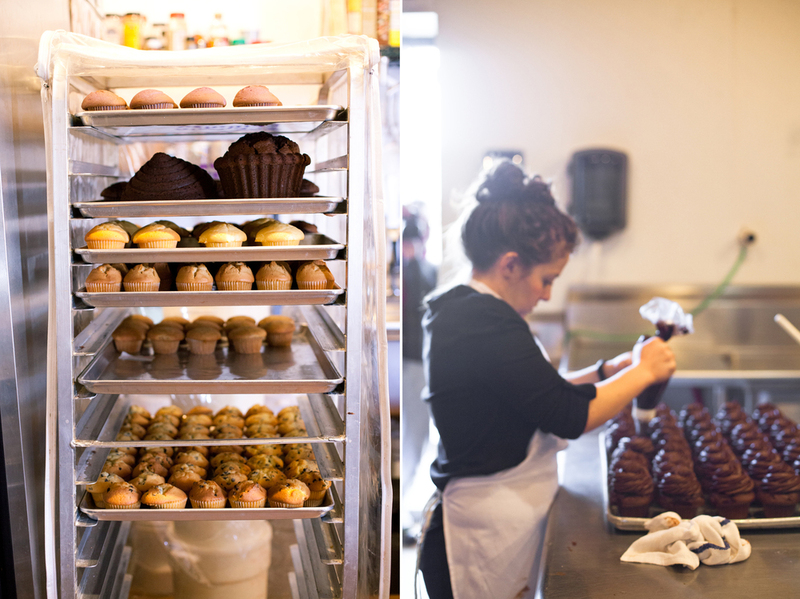 I love hearing about people who have followed their dreams and worked hard to make them a reality so I was interested when she mentioned doing a shoot at NoRA Cupcake Company. NoRA Cupcake Company was opened up a few years back, in 2011, by Carrie. She had been a bartender across the street at Eli Cannon's Tap Room (great selection of beer if you are in the area) and had a passion for baking and local business. With Eli’s owner, Phil Ouellette, as her partner she moved across the street and opened NoRA on New Year’s Eve day 2011. 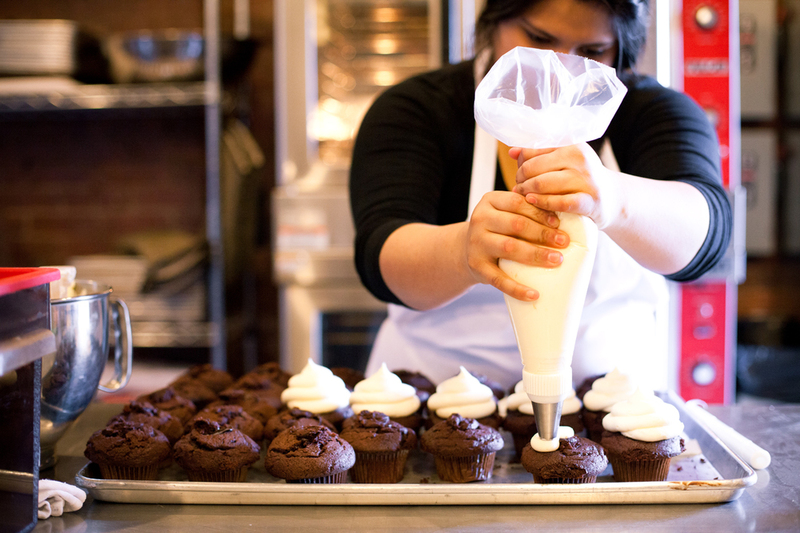 We met up on a Saturday morning, right before the shop opened, and were able to watch the process as the staff prepared cupcakes for the day and for a big event they had the following day. Seeing the wall of sweet confection toppings and the huge trays of fresh baked cupcakes was so cool. It's inspiring to be in a space that others create what they love in. Once the doors opened for business, the place was bustling with people milling in and out. Everyone was happy and friendly (how could you not be?) and you could tell that everyone had a real passion for what they do. 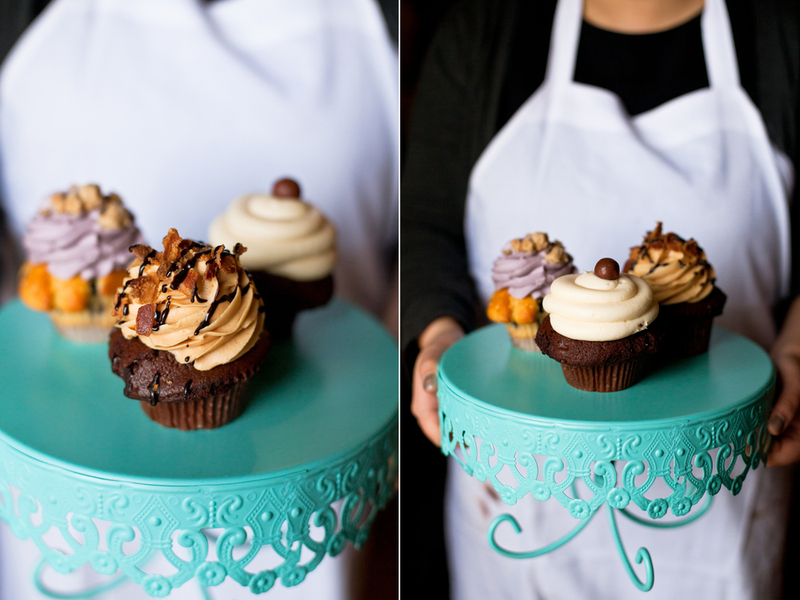 The thing I loved most about NoRA Cupcake Company was their creative take on cupcake flavors. Most notable: Irish Car Bomb, Bourbon Apple Crumble, Funfetti (with edible glitter!) and Rocky Road. I ended the shoot with a colorful assortment of one dozen cupcakes to take home. They were saved to be shared after a big family dinner, cutting each one in to slivers so that all of us could have the chance to sample the flavors. A pretty great way to end a Saturday. A big thanks to Winter and Carrie for setting up this opportunity. 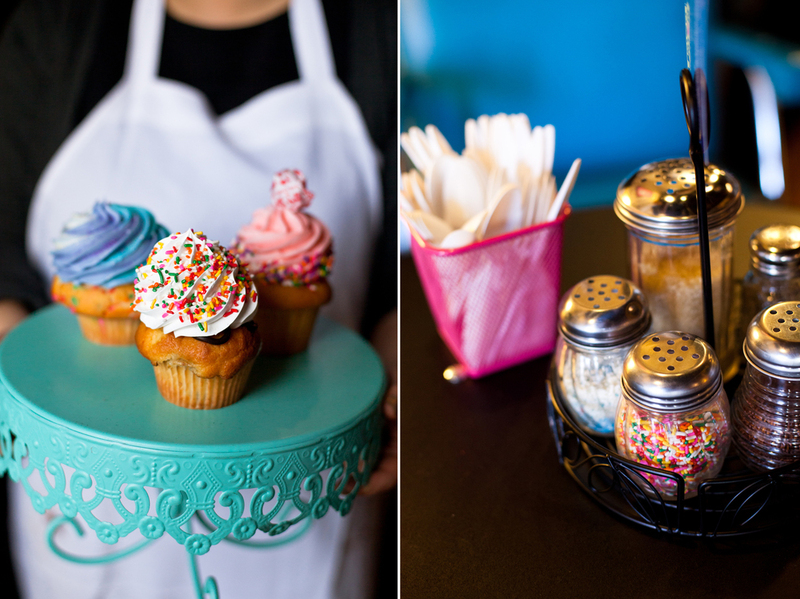 If you are in the area, NoRA Cupcake is located at 700 Main Street in Middletown, CT. They are also a part of the Coventry Farmer's Market from June - October.